The MV Kawau Isle looks conspicuous as she pootles into Auckland’s busy Downtown Ferry Terminal. All the other boats buzzing in and out are high-speed catamarans and ferries. We file onboard the elegant green and white wooden cruiser and she putters slowly away from the wharf into Auckland Harbour. 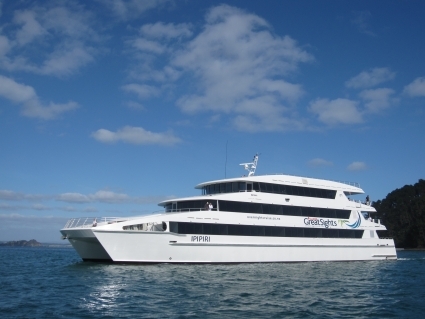 The sleek catamarans all turn right, roaring off in a cloud of diesel fumes towards the islands of Waiheke and Rangitoto. We, on the other hand, turn left and take the river less travelled. If Hollywood ever makes a biopic about an albatross (don’t rule it out), Grandma would be the obvious choice. Most albatrosses have one mate and live for around 40 years. Grandma, however, had five husbands (three of whom she outlived and one she married twice) and gave birth to her last chick aged 62. Grandma is something of a legend at the Royal Albatross Centre, a complex at the end of New Zealand’s Otago Peninsula that protects the world’s only mainland breeding colony of these magnificent seabirds. Royal albatrosses usually only breed on islands but for some reason a group has chosen the tip of this 20-kilometre-long finger of land near Dunedin in the South Island to return to year after year. “Do you like wearing a skirt?” asks Sarah. “Only at weekends,” I reply, nervously. I pull on the waterproof spray skirt while apprehensively eyeing up the not inconsiderable distance between us and our destination. As the crow flies it’s five kilometres from St Heliers Beach in Auckland to Rangitoto Island in the Hauraki Gulf. Easy peasy for a crow; less straightforward in a kayak. 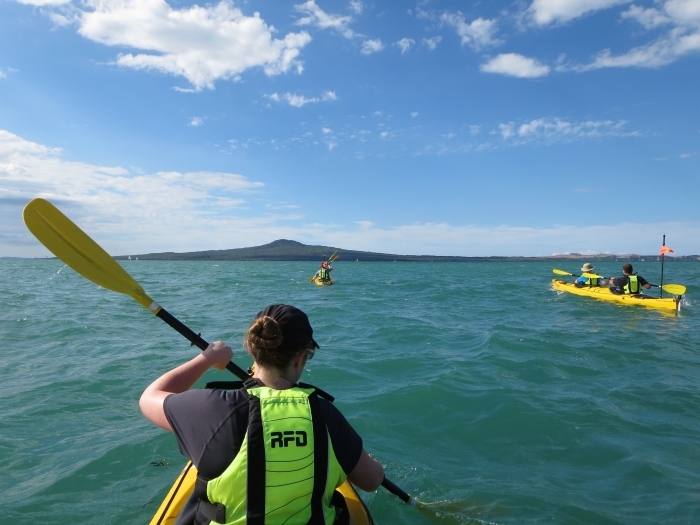 There are eight of us on this Auckland Sea Kayaks sunset tour in four double kayaks. I’m sharing with my sister, which should be interesting given the secret to kayaking is teamwork. She’s already commandeered the front seat so I’m relegated to the back and have been instructed to steer. 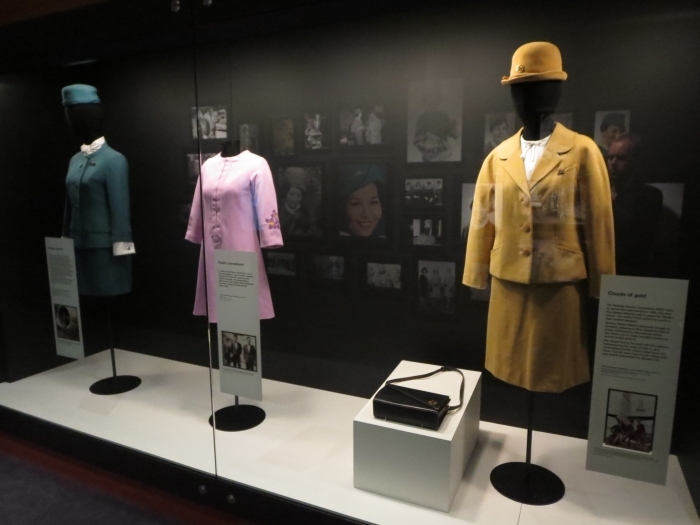 It’s easy to get all misty-eyed about the early days of commercial aviation. Passengers flying from Auckland to Sydney in the 1950s sat in spacious lounge-style seats, enjoyed a seven-course meal and had the option of playing deck quoits. It all sounds terribly glamorous until you discover that the flight was often uncomfortably turbulent because the plane was unpressurised so it had to fly at low altitude. It was also so cold that passengers were given hot water bottles and feet warmers. Oh, and it took eight hours. Give me an airconditioned Airbus A320 with a seatback TV any day. 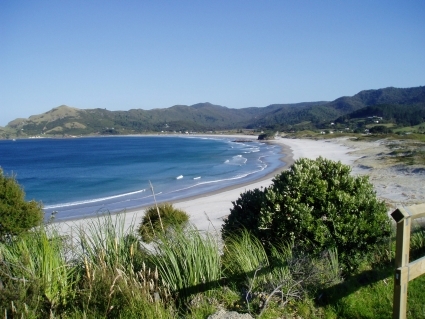 New Zealand is hardly short of picturesque holiday spots but the Bay of Islands, located three hours’ drive north of Auckland, is particularly idyllic. The natural bay provides a sheltered haven for boat lovers with dozens of islands to explore and plenty of coves and inlets in which to moor. Looking at this tranquil picture today, it’s hard to believe it was once known as the “hell hole of the Pacific”. But if you’d visited the town of Russell in the early 1800s, you’d have found a lawless outpost famous for its drunkenness, gambling and prostitution. Sadly, I couldn’t find any evidence of this but I did stumble across a fascinating museum and several excellent cafes. In the genteel Auckland suburb of St Marys Bay, Mollies is the most unashamedly romantic hotel I have ever stayed in. I was there on my own and had to constantly fight the urge to propose to one of the staff. The hotel is named after the current owner’s mother, who ran it first as a guesthouse and then as a motel. When Frances and her husband, Stephen, took over in 2001, it was in desperate need of modernisation. They pulled up the ’70s-style cream shagpile carpets, tore down the fake mahogany panelling and threw out the burnt orange and avocado furnishings. Eighteen months and a lot of work later, the hotel reopened as Mollies and has been collecting awards worldwide ever since. Frances tells us this potted history over pre-dinner drinks in the sitting room where guests congregate among a sea of flickering candles and billowing silk drapes. 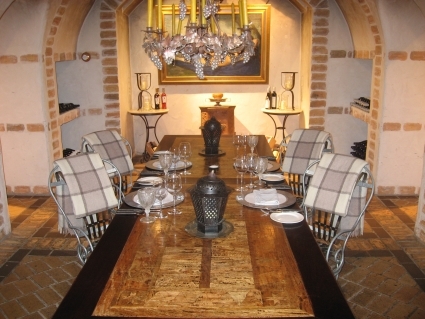 It’s a wonderfully relaxed and intimate environment and a great opportunity to mingle with other guests. The best is yet to come, however. Frances is an experienced opera voice coach who has taught all over the world. She introduces us to Morag Atchison, an opera singer with New Zealand’s national opera company, and an expectant hush descends over the room. It’s not quite the first impression I had hoped to make. Not only do we pull up at the reception of one of the world’s leading resorts in a dented rented Daewoo but two minutes after our arrival the manager comes to tell us they are experiencing what he amusingly describes as a small challenge. The keys are locked inside the car and did we have a spare set? I sheepishly shake my head. Do not worry, he says, we will take care of it. There can’t be many cities in the world where you can set off from an ocean on one side and four hours later be standing looking out across a sea on the other. 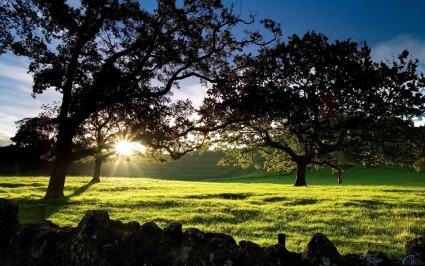 Auckland’s 16-kilometre Coast to Coast walk threads its way from Waitemata Harbour on Auckland’s east coast to Manukau Harbour on the west, taking in some of the city’s most scenic spots along the way. It’s a great way to spend a morning or an afternoon, providing, that is, you have someone who can read the map supplied by the tourist information centre.